Yet another recipe! That’s all I appear to do here, I’ll have to change that. 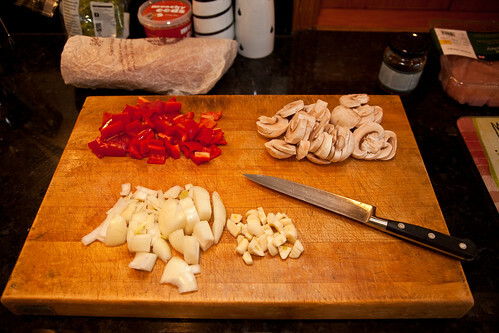 Start by chopping the onion, garlic, mushrooms and pepper. Place a little olive oil in a pan and gently fry the onion and garlic until translucent, be careful not to over cook at this stage otherwise the garlic may burn. Cut the turkey pieces into strips. 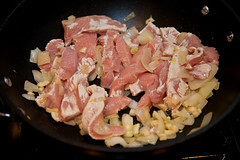 Add the turkey strips to the pan and cook until the meat turns white. 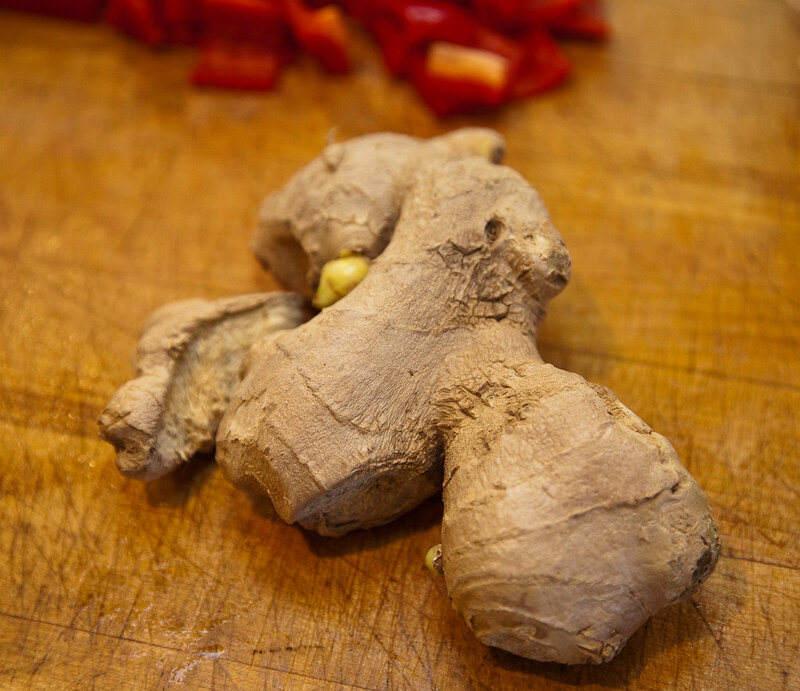 Add some fresh ground ginger to the pan. Cut a lime in half and squeeze into the pan. 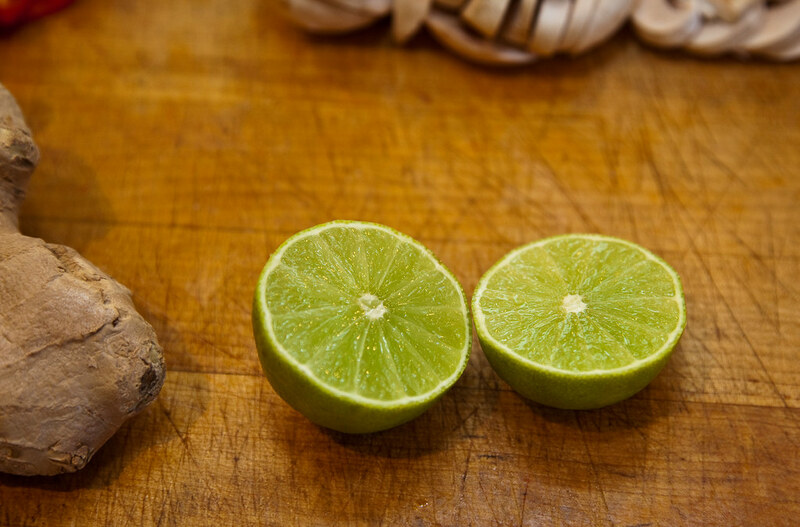 If you have a waste disposal it is a great idea to chuck the used limes in as it is a very good cleaning agent. Now is a good time to add the various spices. 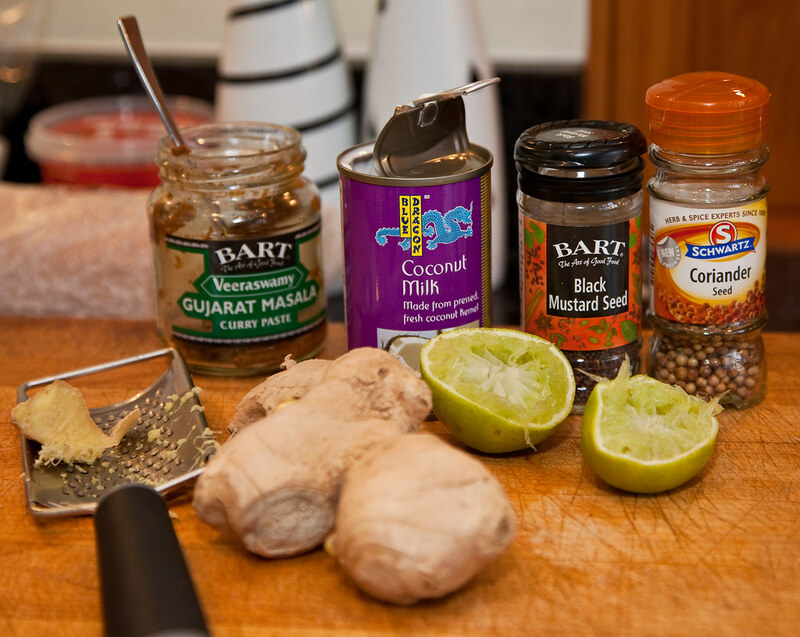 Masala paste, the amount used will depend on your own taste, start with a couple of heaped teaspoons and increase as you see fit. 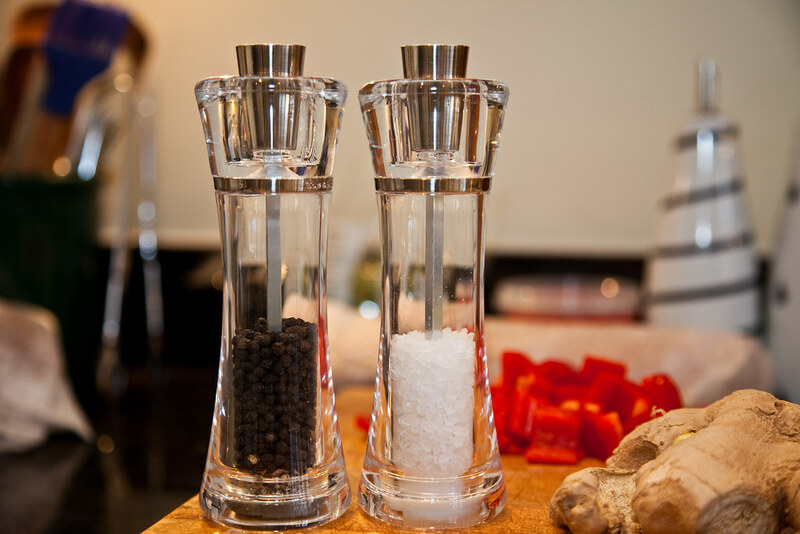 Put some mustard seeds and coriander seeds into a pestal and crush and add to the pan. Some coconut milk should be added, again the amount is variable depending on your own taste. I also add about half a sachet of coconut cream. If I need to add more liquid I would normally put some wine into the pan also, of course you can always use water or stock. Stir well and allow to simer gently. 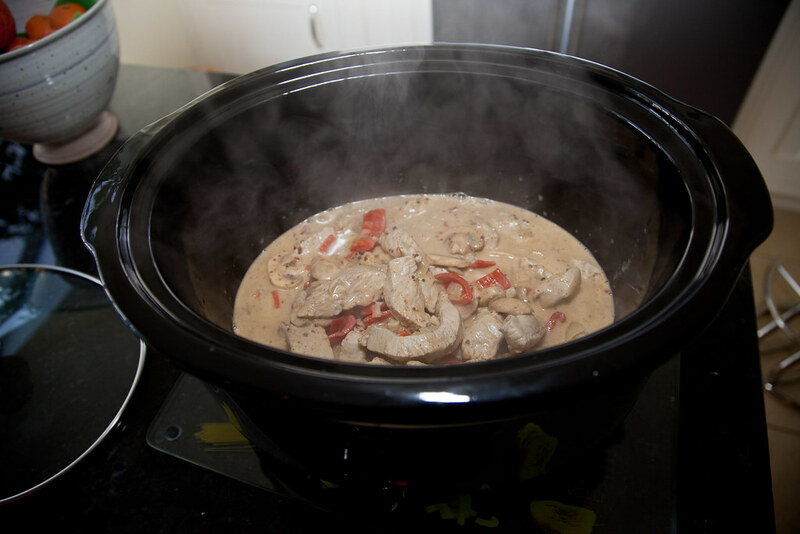 The amount of time required to simer will depend on wheather you intend to serve straight away or you want to cook the curry in a slow cooker for the rest of the day. Transfer the curry to the slow cooker, place the lid on. 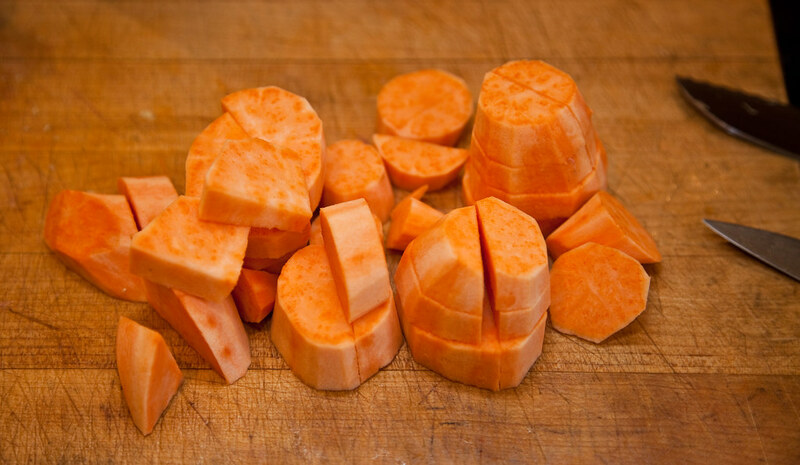 Peel and dice some sweet potatos. 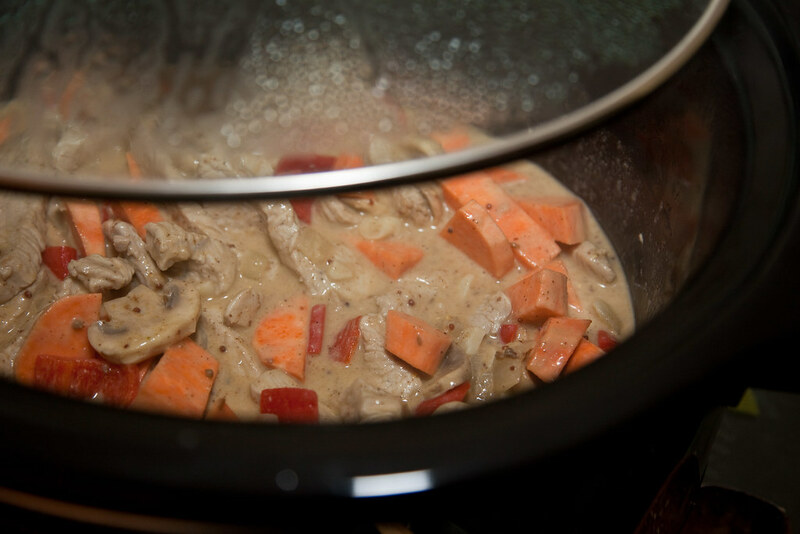 Add the sweet potatos to the slow cooker, replace the lid and continue cooking until you are ready to start eating! 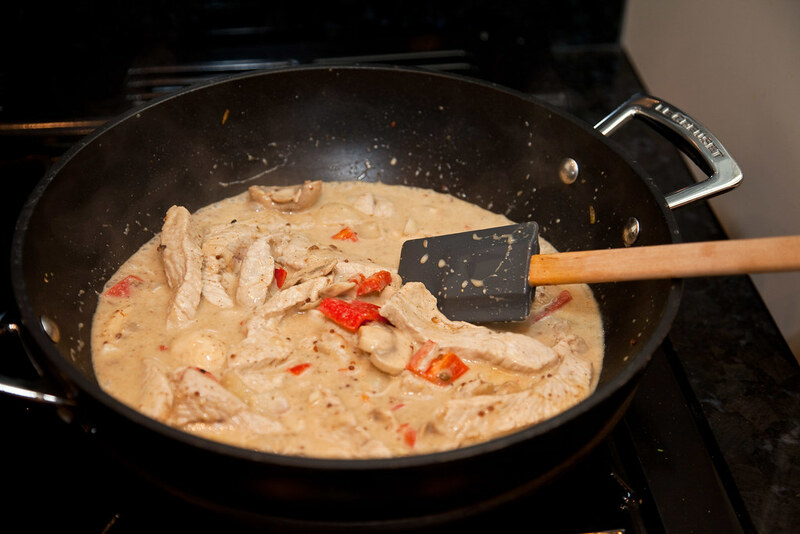 This is a mild curry to which you can add some creme fraiche before serving if you want to make it just a little bit more creamy.